The Syrian military has continued redeploying its elite forces from the southern part of the country to the contact line with forces of Hayat Tahrir al-Sham (formerly Jabhat al-Nusra) and other militant groups in southern Idlib and northern Latakia. Last weekend, several units of the 4th Armoured Division, armed with battle tanks, rocket launchers and artillery guns, started their re-deployment to northern Latakia. Earlier units of the Tiger Forces and the 5th Assault Corps occupied their positions in southern Idlib and nearby northern Hama. Since mid August, Hayat Tahrir al-Sham and other militant groups have been carrying out operations to crack down on supporters of the reconciliation deal with the Damascus government in the province of Idlib. According to various sources, militants have detained over 100 civilians in the framework of this effort. Militants are expecting that a major part of the local population in the militant-held areas will welcome a military operation by government forces and provide some assistance to government troops. On the same time, militant-controlled councils in several villages and towns in southern Idlib released a statement calling on Turkey to impose own “mandate” in this area de-facto declaring a military occupation. This statement is another example of the so-called soft-power employed by pro-Turkish forces in the militant-held areas. A security operation of the Syrian Army and its allies is ongoing in the area of al-Safa near the administrative border between al-Suwayda and Rif Dimashq. Despite the army’s efforts, ISIS cells are still keeping some positions in the area. Last weekend, a special forces unit of the 1st Division ambushed a group of ISIS members fleeing al-Safa. According to pro-government sources, up to 25 ISIS members were killed. This indicates that the remaining members of ISIS in al-Safa may soon make another attempt to withdraw from the besieged area towards the Homs-Deir Ezzor desert and then towards the border with Iraq. Meanwhile, negotiations on a possible peaceful settlement of the situation in northern and northwestern Syria are ongoing between Ankara, Teheran and Moscow. 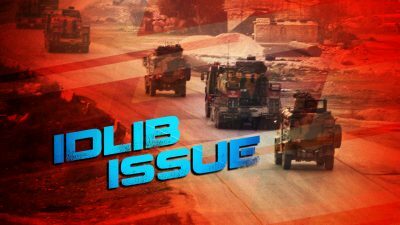 According to public information, the sides have so far reached no final understanding on the situation in Idlib. Thus, the situation between government forces and militants may escalate there soon.